With over 40 years experience, Maverick offers unparalleled quality and experience in facility construction with some of the most seasoned supervisors in the industry. We love to build things, honestly. Maverick has the experience and expertise for all types of oil, gas, steam or chemical pipeline installations, and are experts on a wide variety of pipeline materials – including steel, fiberglass, flex-pipe, polyethylene and flex-steel. Click below to learn more. Maverick’s transportation division offers well trained people using modern highway tractors and properly configured trailers to haul everything from linepipe to large over-dimensional loads anytime, anywhere throughout the western provinces. Click below to view our capabilities. Maverick has been a leading provider of Oil & Gas Construction and Transportation services since 1978, thanks to our highly skilled and loyal team of mavericks, who embrace our core values, and deliver exceptional quality time and time again. Beginning with a detailed execution plan, daily field updates and bi weekly progress reports, our clients are never in the dark as to the status of their projects. Through reporting we can identify early on any deviations from the plan, and devise means of getting back on track. 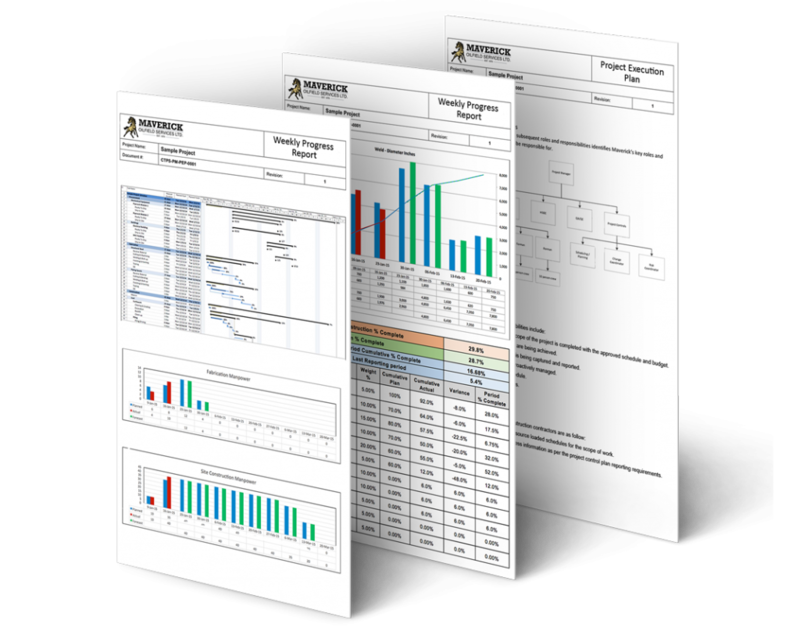 Maverick Project Controls creates a new standard of accountability, both internally and externally to our customers.